Reading came off second best against an impressive Brentford side to slide closer to the wrong end of the table. Brentford had the look of team destined for a play-off spot and Reading had to raise their game to keep them at bay. It was an entertaining and open game with both teams having plenty of opportunities score the crucial opening goal. The Brentford winner came late in the game ironically immediately after they had presented Reading with a golden opportunity to take the lead which made defeat an even more difficult pill to swallow for Royals fans. Morale is now an issue and Reading will need to show character and resilience to pull out of the current slump. Staying positive is essential – and that includes the fans. When team is fighting for points to stave off relegation they are not helped by the booing of their own 'supporters'. From the start both teams were probing with some penetrating forward passes. As early as the seventh minute Mannone was forced to make a good save from Watkins and Gunter was there to throw his himself in front of the follow-up. Van den Berg received an early and deserved yellow card for a ridiculous two handed grab at his opponent to prevent him from getting away. Brentford threatened to score every time they moved forward and it took a while for Reading to get a foothold in the game. Moore and Van den Berg carried the ball forward well and Barrow was getting past his man down the left. Brentford were awarded a free kick on twenty-eight minutes when Vibe decided to take a dive when Gunter placed his hand on his back. Justice was served when the free-kick flew over the bar. Kelly had a half chance when Gunter found him with a cross but instead of taking a chance with volley he attempted to control the ball and the chance disappeared. The lack of confidence when shooting opportunities arise is an increasingly worrying feature of Reading’s game. Bodvarsson however did well managed to spin and get an attempt on target but with insufficient power to beat Bentley. The half belonged to Brentford but Reading had responded well and were still very much in the game. Blackett replaced the injured Richards at half time and Reading made a positive start to the second half. It was a fast moving open game and as the play become stretched goals seemed inevitable. Brentford were incisive and inventive going forward, but Reading were also looking to get at the visitors defence. Blackett came to the rescue with a goal line clearance from Josefzoon. Gunter impressively manged to get to ball down the right and pulled the ball back to Bodvasson who struck his shot well but just wide. Kelly came closest to opening the scoring with a free kick from the edge of the box with a free kick which smacked against the bar. Kelly was then involved at the other end soon after gifting possession to leave Mannone exposed but to his relief Brentford strayed offside. Reading should have taken the lead when Kelly found himself the beneficiary of some equally sloppy play but with Barrow free on the right he opted to play the ball to Bodvarsson, who was forced to slip it wide to Barrow. With the delay in getting the ball wide, defenders were getting back and with a poor first from Barrow the chance had gone. With Reading fans still shaking their heads in disbelief Brentford broke way and in spite a decisive goalkeeping from Mannone the ball broke kindly for Vibe who finished well through a group of Reading defenders obscuring his sight of goal. From the re-start Van den Berg was injured in a tackle on the half way line and Brentford attacked and threatened to score a second goal. Kermorgant replaced an injured and weary looking Van den Berg to bolster Reading’s attack for a desperate final onslaught to rescue a point. Brentford demonstrated another side to their game as three cynical fouls in quick succession produced a rash of three yellow cards in the space of two minutes. Sadly as so often this season Reading lacked the cutting edge to score a much needed goal in spite of some very direct play. It was deserved win for a very enterprising Brentford side but I could not help feeling Reading could have taken a point. The afternoon was rounded off with an unwarranted chorus of boos and the usual torrent of negativity broadcast by Radio Berks after a defeat. Whatever people feel about Jaap Stam the team needs the support of their fans, and changing the manager at this point is probably not going to help. It has not been a good season to say the least, but it need not turn out to be the disaster some fans are predicting. Berg still getting a game is amazing. Does he have something on the manager? Aluko, the only winger who doesnt. Ever. Next game that matters, away at Burton on Tuesday week. The traditional and absolute MUST WIN game. Then Millwall at home on a Saturday. Two weeks to make the season or basically lose it. I fear so. ‘Too good to go down’. 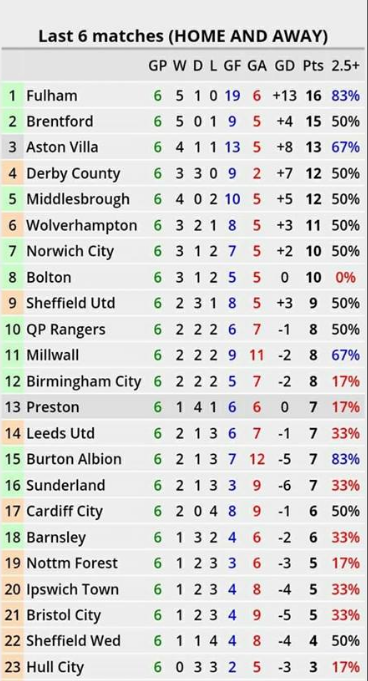 I don't see us beating any of that lot, which says a lot considering Burton got thumped 6-0 today. That kind of football ain't gonna beat anyone in this division. It was a better performance but there was an air of inevitability about the Brentford goal, that said, how many times did they win the ball off us after we spent some time dicking around with it in defence? There is quality in this team but they are abysmally low on confidence and being made to persist with a style of play they clearly aren't comfortable with. Could have scored though but Brentford probably deserved the win in the end, as others have said, the next two games are crucial. Take a point off Barrow for being responsible for their goal. was crying out for a first time strike at the back post instead of farting around and getting blocked out. 20 seconds later we were behind. Today's game was a bit of a reality check for me, I've watched the last 4 home and away but today was different....We seemed to play a different formation but our playing style is still the same, goals win games as was proven today....Kelly deciding to pass back to Bod while in their penalty box who passed out wide to Barrow really sums up where the team are at.....Stam you have rebuilt our team but unfortunately this playing style won't work. It was a complete clusterfvck from the second Kelly intercepted the ball, his pass to JDB was poor who in turn played a poor pass to Barrow who instead of putting his laces through the ball Fannies about and lost out. 15 seconds later Vibe is slotting home. Reading: V Mannone, T Ilori, C Gunter, L Moore, O Richards (T Blackett, 45), J van den Berg (Y Kermorgant, 77), S Aluko (R Beerens, 60), L Kelly, M Barrow, G Evans, J Bodvarsson. Subs not used: P Clement, G McCleary, D Edwards, A Jaakkola. Brentford: D Bentley, N Yennaris, Y Barbet, A Bjelland, C Mepham, R Woods, K Mokotjo, R Sawyers, F Jozefzoon (L MacLeod, 87), O Watkins (S Canos, 65), L Vibe. Subs not used: E Marcondes, N Maupay, J McEachran, L Daniels, J Clarke. This Championship game took place 461 days ago in the 2017/2018 season.